We’re in the holiday party home stretch! Just a few more events left before everyone is off for the holidays—but of course, you’re already out of things to wear. As always, the key is to think simple and elegant. 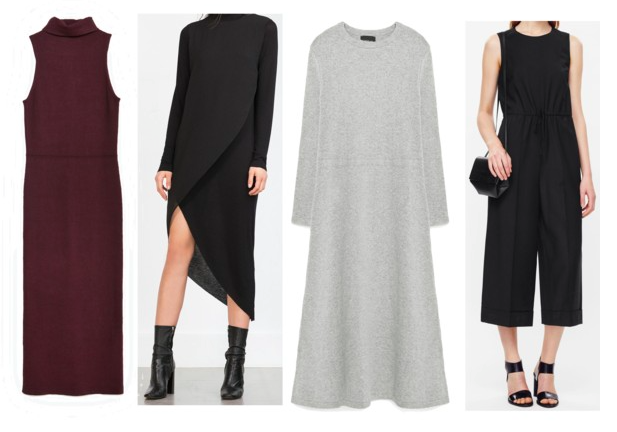 Not every holiday outfit has to include sequins and sparkle. 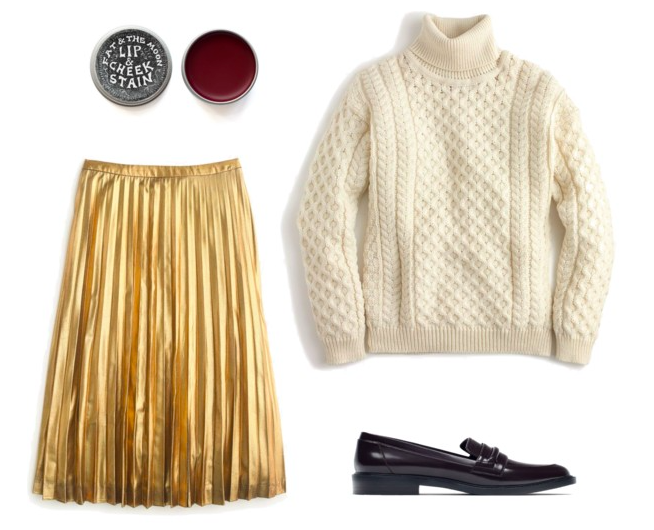 You can be festive without looking like a disco ball. We found a few last-minute pieces that can easily go from conference room to cocktails with minor adjustments. Why tote around a heavy bag with a dozen costume changes when you can just switch seamlessly from day to night by adding a bold necklace or funky heel? Quick and easy shops like Zara, COS and J.Crew are practically on every corner in NYC and they offer affordable lightning-speed shipping for everywhere else—so you’ll get them just in time for your big event. COS is under the H&M group but you would never imagine that this brilliant brand has anything to do with $5 disposable tank tops. 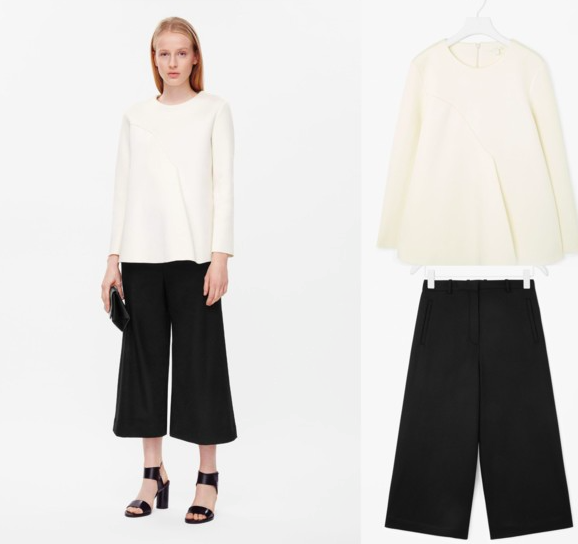 COS is similar to Zara, but a little more expensive and better quality. Plus, their collections are comprised of interesting and modern designs for more stylish personalities. Just about every piece can work for day or night, which will make COS your new favorite place to be. Inclement weather tip: Try wearing an all-weather shoe that could also work with a dressy outfit. 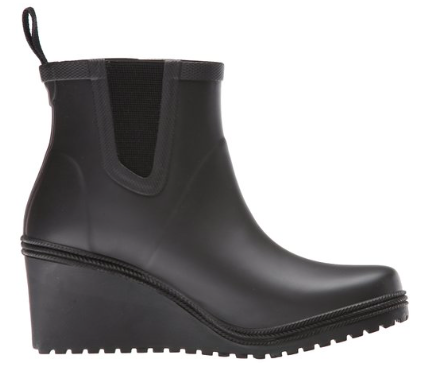 These Tretorn wedge rain boots ($70) are super functional and they look sleek enough to wear with a dress. Style tip: Bright lipstick or rosy cheeks can make even sweatpants look party-ready so don’t forget to spruce it up. 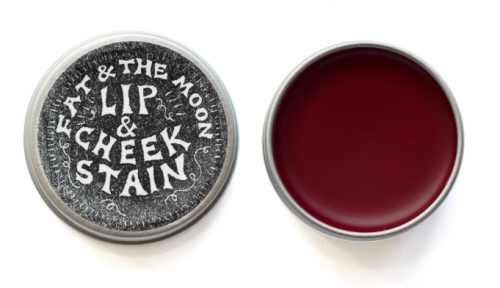 Try a natural lip and cheek stain from Fat and the Moon ($12). Julie Inzanti is a New York City-based freelance writer and blogger covering lifestyle, fashion, shopping, beauty, and motherhood. She has a sense of humor and common sense.